Water represents one of the greatest current global challenges. Torrential rains are more frequent due to climate change, causing sewer overflows, but at the same time, water scarcity in other parts of the world threatens public health and reduces food production. By 2050, the world’s population will have grown from 7 to 9 billion. This enormous increase means that the need for water will also increase by more than 50% if it will be consumed at the current rate. In the “Environmental Outlook to 2050” report published in 2012, the OECD estimates that around 1.5 billion people live today in areas severely affected by water scarcity. 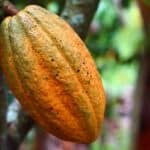 According to the report, the number will increase to nearly 4 billion by 2050, which will trigger a global food crisis unless the current approach to water consumption changes. Many places in the world simply don’t have enough water. This is partly due to climate change, but also because of the rise of urbanization. Cities are developing, at amazing rates, and to find water it’s necessary to bring it from great distances for densely populated areas. This is not a sustainable situation. With the rise in urbanization, groundwater levels are decreasing, and this means that water reserves are decreasing and water quality is deteriorating as a result of chemical changes in soil layers. At the end of February 2015, the drought in the Brazilian city of São Paulo, with a population of 20 million people, forced locals begin to drill through floors and parking lots to reach water. In the US state of California, the authorities revealed that the state entered the fourth year of drought in 2015 since meteorological measurements began. At the same time, per capita water consumption has continued to increase. In the Middle East, whole rural areas have turned into deserts as a result of excess water use. Iran is the most affected. Over-consumption, along with low rainfall, ravaged Iran’s water resources and agricultural production. Similarly, the United Arab Emirates invest in water desalination plants and water treatment facilities as a result of the acute shortage of water it faces. Even the heir prince, sheik Mohammed bin Zayed al-Nahyan, said that for the country, water became even more important than oil. More recently, at the beginning of 2018, Cape Town has faced dealing with what was called the “Day Zero”, reaching the point where water supply became an important problem in the area. Cape Town is the first major city in the world that will remain without water in the era we live in. Moreover, this is the effect of much blamed global warming. There will be rations of 25 liters per person, now that the limit is 50 liters. For comparison, an American consumes an average of 300 liters of water a day, according to USA Today. Access to water will however be filtered based on social status. The wealthy will build up wells to reach a considerable depth from where to extract potable water, so those who will stand in queues will be the poor. The country already has one of the highest inequality rates in the world. The Guardian presented some figures to motivate the causes that affected Cape Town’s water supply: in the last three years, it has not rained between January and April, and the average of these years is well below the average of the last four decades. In addition, since 1995, the city’s population has grown by 79%, while water supply increased by only 15%. BBC reports that nearly 850 million people all over the world suffer from lack of access to drinking water, according to the World Health Organization, and droughts are getting worse. The South African city could be followed by other large urban agglomerations of the world. 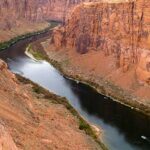 The water supply reservoir for the Arizona, Nevada and California US states is further diminishing, approaching levels that would generate a situation similar to Cape Town. Also, Brazil’s capital, Brasilia, with a population of 2.6 million, has already declared a state of emergency due to long-term drought. In 800 municipalities in this country, water is rationalized. 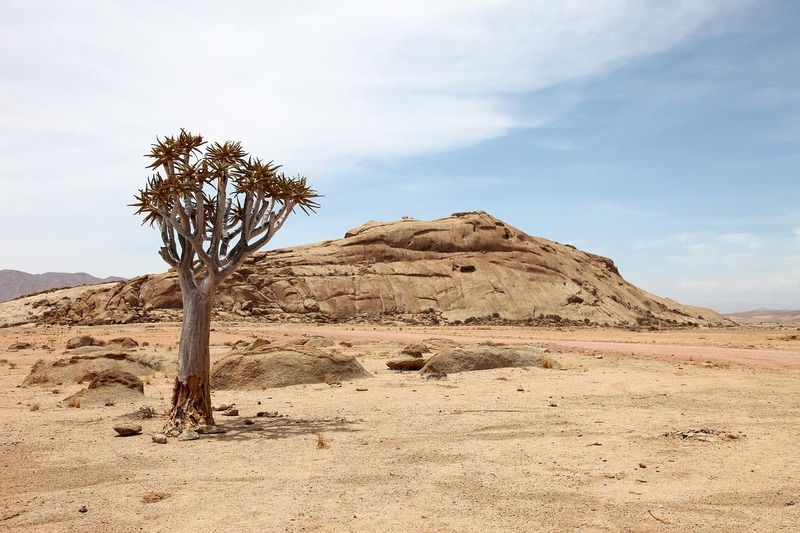 The causes for which such new situations may arise are, as in the example of the South African city, severe drought and rapid population growth. However, the water infrastructure plays also an important part, because old systems are simply not efficient enough. Other examples of major problem cities are Mexico City, where many of the 21 million inhabitants have water for only part of the day, or São Paulo. Indonesian capital Jakarta also has drinking water problems and Melbourne residents may face the same situation as Cape Town in no more than 10 years. 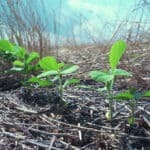 Agriculture is currently responsible for 2/3 of the world’s water consumption, and forecasts show that by 2050, if we don’t change our behavior, we will need twice as much food as we do today. At the same time, demand for energy will also increase, which will increase water consumption in the energy sector. But there is not enough water to meet this need. In order to avoid a global energy and food crisis, political reforms and new technological solutions are essential to balance the interaction between water, energy and food. These three sectors are inextricably linked; if the energy sector uses more water then it remains less for food production. For example, the food industry is affected when governments choose to provide subsidies for fossil fuels. This type of energy requires enormous amounts of water, and leaves less water for the food industry. Estimates suggest that OECD countries use between $50 and $90 billion to support the production and use of fossil fuels. Much of that money could be used more efficiently, said Helen Mountford, Program Director for the New Climate Economy initiative. Pollution is another cause of decreasing drinking water supplies. China is a hot spot in terms of drinking water availability. Half of the rivers and lakes of the country are polluted, and most drinking water comes from the southern regions, but in the north the population density is the highest. The United Nations estimates that between 2014 and 2050 approximately 292 million people will move to the urban areas of the country. To resolve the water infrastructure problem, China should spend trillions of dollars. The use of sustainable solutions is not only possible in the energy sector to reverse negative predictions in hydro technics. 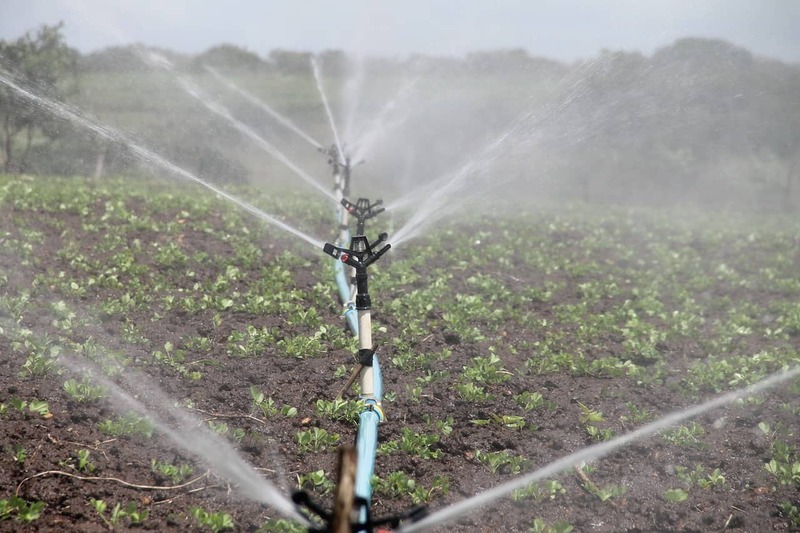 Water consumption can also be reduced in agriculture by up to 25%, using more efficient irrigation methods or agricultural systems such as hydroponic warehouses. There is support from international organizations such as the UN and the World Bank, and the OECD recommends that policy efforts focus primarily on three initiatives: the distribution of water resources between agriculture, households and industry, the preservation of water quality and the protection of water and sewage access. Over the last three decades, efforts have been made in EU countries to learn more about water challenges as well as to develop strategies and regulations. These regulations are intended to support the governments of the Member States and ensure the implementation and sustainability of reforms in the water sector. A series of agreements have been established requiring EU Member States to meet the standards of the water sector. One of the most important regulations is the 2000 European Water Framework Directive (WFD). This regulation is often considered to be the most important engine in building a sustainable water sector. This directive includes a requirement for Member States to carry out frequent water quality measurements in order to avoid drinking water pollution. 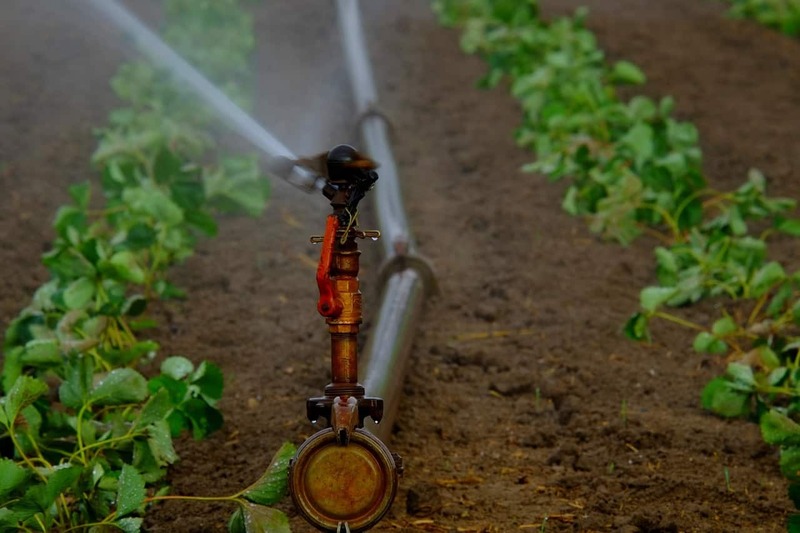 However, not all is lost when it comes to agriculture, because luckily there are new technologies and systems meant to help farmers grow their crops even in areas affected by water supply problems. One example is Stewart Resnick, one of the wealthiest farmers in the world, who, along with his wife, Lynda Resnick has managed to create an entire empire based on agricultural activities in California. However, Resnick managed to build his agricultural empire despite being the largest water consumer in the Central Valley area because he made an important investment in the Kern Water Bank, being the majority shareholder. Stewart Resnick made an important move in the 1980s, when he bought farms for cheap during Californian drought years. Soon, his company, now called Wonderful Company, became the largest producer of almonds and pistachios in the world. Under the Wonderful Company are many well-known brands, such as Fiji Water, Pom Wonderful or Wonderful Pistachios. What once began with a few orange grows in Kern County, California, has now became a highly profitable agricultural business. Some voices say that the way Resnick’s company obtained control over the Kern Water Bank can be considered suspicious, but regardless how the savvy entrepreneur obtained his “water empire”, one thing is for sure in any agricultural endeavor at current time: if you have the money, you’ll have the water. If not, things are not looking great for those who want to become successful farmers while facing the challenge of having enough water for their crops. On another note, Philippe Ouaki Di Giorno is what can be called a revolutionary in agriculture. Di Giorno has created and patented a solution that helps plants grow by more than 20% using the amount of water they would normally need. The Frenchman has become known as “the man who makes the plants grow without water”. Polyter, Di Giorno’s invention, is a system that makes it possible for 80-90% of the water coming into the soil to be stored for the plant. Normally, the plant only benefits from 4-20% of this amount, which makes the areas with little rainfall, suffer from drought. What Polyter granules actually do is that they hold water. Based on biodegradable and soil-free materials consisting of a mixture of cellulose, organic fertilizer and potassium polyacrylate, the French granules can “swell” up to 300 times in contact with water. Used in intensive farming, Polyter granules could revolutionize the water management system in agriculture, especially in areas where there aren’t many water supplies. For now, the cost of 20 kilograms of Polyter is 400 euros, but the effort leads to savings of thousands of euros opposite to conventional irrigation systems. Other solutions for agriculture dealing with scarce water supplies involve the use of hydroponic warehouses. Hydroponic crops involve growing plants in nutritional solutions, not on the soil, with a complex device that automatically distributes liquid nutrients with a predetermined concentration depending on the specificity of each crop. 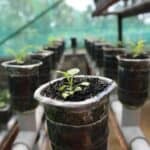 It’s possible to grow fruits, vegetables, fodder, medicinal plants and flowers using this system. To distribute nutrient water to all plants, a device that stimulates plants to absorb as much liquid as possible is used. Thus, plants grow much faster, without depending on weather or sunlight, and adequate artificial light is sufficient. 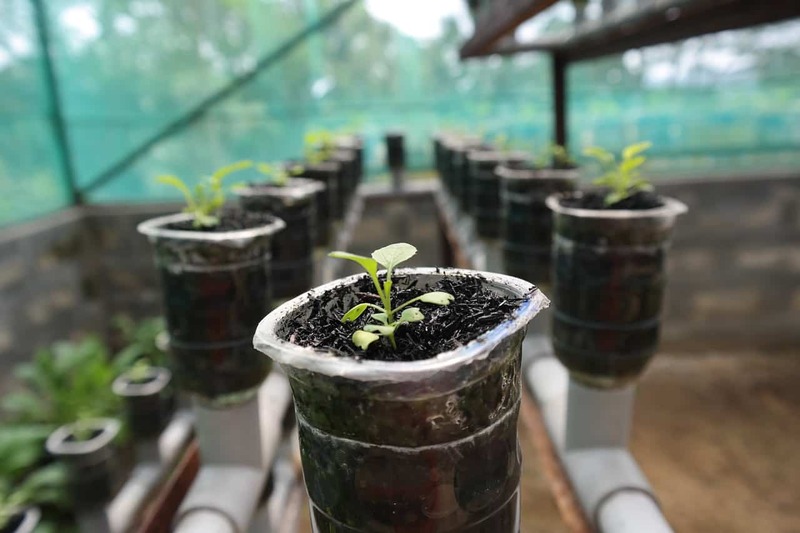 One of the great advantages of hydroponic agriculture is that it allows making huge savings in water consumption: 90% less water is being used than for traditional crops. Some appliances even allow recycling of used water. 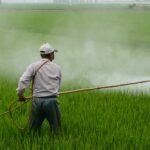 Therefore, in a world where water becomes a valuable commodity, more valuable than gold or oil, in some cases, it’s absolutely necessary to find alternative solutions to allow agriculture to produce the necessary food for a growing population. Hydroponic warehouses – a solution for desert areas?